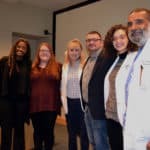 Undergraduate students from across the state got a personal introduction to UAMS and the variety of career options available in health care recently through Diversity Day. 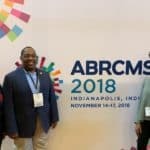 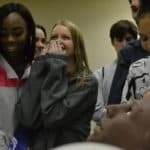 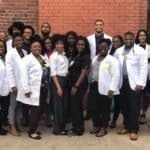 More than 145 students and 15 advisors from 20 Arkansas universities and a few surrounding states attended the annual conference-style event, hosted by the UAMS Center for Diversity Affairs…. 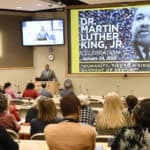 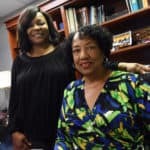 Dozens of UAMS employees gathered for the 2019 Dr. Martin Luther King Jr. Day Celebration, sponsored by the Center for Diversity Affairs, which celebrated the legacy of service advocated by the slain civil rights icon and included the presentation of the Unity Award for completing a collaborative service project. 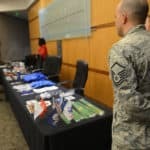 Active duty, reserve and veterans of the armed forces who are UAMS employees were honored at a Nov. 2 breakfast, just one part of a larger month of celebrations and events planned by the UAMS Veterans Awareness Committee in honor of Veterans Day, Nov. 11. 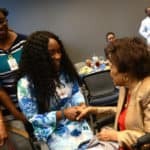 Sept. 24, 2018 | A month-long celebration of the life and career of Edith Irby Jones, M.D., who enrolled 70 years ago at UAMS as the first African-American medical student in the South, brought thanks and appreciation from those she inspired and served.